Good news everyone - Santa Cruz FHA loan limits are back on their way up! Recently, the Department of Housing and Urban Development (HUD) announced a new schedule of FHA loan limits for 2019. Most areas in the country will experience an increase in loan limits in the coming year. HUD said as a result of "robust increases" in median housing prices and required changes to FHA's floor and ceiling limits, which are tied to the Federal Housing Finance Agency's increase in the conventional mortgage loan limits for 2019, the maximum loan limits for FHA forward mortgages will rise in 3,053 counties. In 181 counties, FHA's loan limits will remain unchanged. 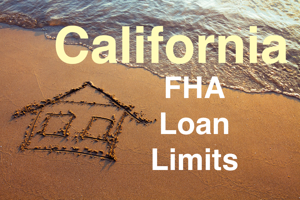 It is important to understand that that while the FHA loan limit in Santa Cruz will be $726,525 for 2019, the maximum purchase price of a home is not limited - merely the size of the loan is limited. FHA does require a minimum down payment of 3.5%, so with a down payment that size the maximum purchase price would be $752,875. However, Santa Cruz home buyers can put much more than 3.5% down on a home loan - however even if borrowers put down 20% on a FHA mortgage, the borrower will still be required to pay mortgage insurance for the life of the loan. Most borrowers with higher down payments will use conventional financing, but FHA loans are the "go to" loan for buyers with smaller down payments.